COLUMBUS, Ga., Nov. 3, 2015 /PRNewswire/ — Communicorp, a subsidiary of Aflac and one of the largest marketing solutions providers in the Southeast, announced a new partnership with Ricoh to implement the award-winning Avanti Slingshot Print Management Information System (MIS), demonstrating Communicorp’s ongoing commitment to driving operational efficiencies and improving workflow across its print production and fulfillment projects. Avanti Slingshot is a high-performance print MIS solution that creates one seamless process for incorporating business intelligence (CRM, dashboards and reporting); production planning (estimating, imposition, planned purchasing, sales orders, inventory management and scheduling); as well as warehousing, shipping and billing. The solution provides secure access on any Internet-enabled device – anywhere and anytime – while supporting multiple lines of business, including offset, digital, large format, fulfillment, mailing and marketing services. Streamlining tasks between areas of responsibility more proficiently. Additionally, the advanced Avanti Slingshot tool will provide Communicorp’s customers with the ability to track orders online, enabling quicker turnaround times on jobs, and faster response times from project managers and internal work teams. “We developed Avanti Slingshot to assist companies like Communicorp with eliminating manual processes and redundancies, while also allowing them to improve resource planning and production time for projects. All of these enhancements significantly improve the end product for customers,” said Patrick Bolan, Avanti president and CEO. Ricoh made a significant investment in Avanti in 2013 as part of its workflow strategy to provide customers an open MIS platform that integrates with other systems, and automates the entire print and fulfillment process. Ricoh uses an implementation methodology which ensures projects, such as Communicorp’s, are managed with flawless execution and delivered as promised. “As a systems integrator of production solutions, we are proud to have Communicorp as an industry partner, and look forward to helping them expand their business with this solution,” said Brian Balow, Vice President, Professional Services & Strategic Vertical Markets, Ricoh Production Systems, Ricoh USA. Communicorp, Inc., a wholly owned subsidiary of Aflac, is one of the largest marketing solutions providers in the U.S. Southeast region, serving major brands and leading corporations since 1981. 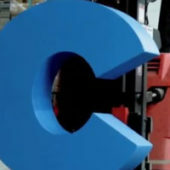 Known for its excellence in creativity, design and marketing innovation, Communicorp has received numerous accolades from the graphics and communications industries – including American Advertising Awards (ADDY), The Premier Print Awards, Printing Impressions Magazine’s Gold Ink Awards and Printing Industries of America’s (PIA) Best of the Best Award. Learn more about Communicorp’s award-winning marketing solutions at Communicorp.com. Since 1984, Avanti has provided innovative, award-winning Print MIS and Web-to-print solutions that help print shops and marketing communication organizations automate all facets of their business and cultivate a more meaningful customer relationship. Avanti’s solutions are the most open in the industry, are JDF certified, fully integrated and extend from Web-to-print through to production and billing. www.avantisystems.com.